You Are Here: Home > How Do I Lease a Car? Thinking about leasing your next vehicle? You’ve come to the right place! Leasing is an excellent option for shoppers in the areas of Lavon, Fate, and Heath, and we at Rockwall CDJR want to make the leasing process as easy and enjoyable as possible. That’s why we’ve put together this detailed leasing guide. 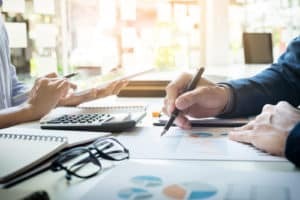 On this page, you’ll find all kinds of information about the leasing process including step-by-step instructions and a handful of helpful leasing tips. Read ahead to learn more! Figure Out Your Budget and Stick to It. Look at your monthly take-home pay and determine how much you can afford to pay in lease payments per month. It’s recommended that you don’t commit to any more than 20% of your take-home pay per month. Find the Perfect Car for You. After you’ve drawn up a budget, it’s time to draw up a next-car wish list. Figure out what you want and what you need in a vehicle. Then, go out and find it. Go for a Test Drive. The test drive is crucial and cannot be overlooked. You can’t know for sure if a car is a good fit for you until you get behind the wheel and drive. Sit Down with a Finance Professional. Meet with the finance team at the dealership you’re leasing from and hammer out all the lease details. You’ll figure out how long you want to lease, how many miles you need, and more. Do a Bit of Research Before You Sign. Look around online to make sure that you’re getting a good deal before you sign your new lease agreement. Stick to your budget no matter what. Don’t underestimate how many miles you’ll be driving. Make sure to keep up with the routine maintenance of your vehicle. Try to avoid getting a lease that’s longer than the factory warranty of the vehicle. Also, try to avoid getting a lease longer than five years—after that, it might make more sense to buy the vehicle. Ready to Get Started on Your Lease? 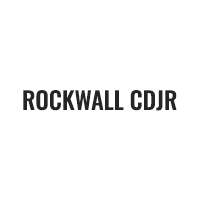 We at Rockwall CDJR are so excited that you came to us to learn more about how you can lease a vehicle. After reading through the information on this page, we hope you’re ready to get the ball rolling on setting up your next car lease. Our finance professionals in our finance center are ready and eager to help you get started. Shoppers in the areas of Lavon, Fate, and Heath should give us a call today to set up a time to come in for a test drive and to speak with our friendly finance team!